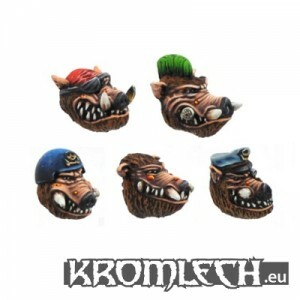 Kromlech has some new Warhog heads (for turning your guys into Bebop's closest relatives) for your modeling enjoyment. Today, we'd like to show you something a bit... different, if I may say so. These are our new Warhog Heads. We like to attach these to our orcs, but they will fit pretty much any 28mm miniature.